Sadie Detweiler never imagined she'd move to Kentucky, yet here she is: a pregnant, unmarried Amish girl banished by unforgiving parents to live with kin she barely knows. The men are gruff and her cousins are secretive. Worst of all, elderly matriarch Verba becomes mysteriously ill shortly after Sadie moves in. When EMT Noah Freeman arrives, Sadie immediately notices he's unlike any other Amish man she's met. Noah is warm, confident, and has an easy way with practically everyone in the community, both Amish and English. Though Sadie is drawn to him, she has little hope he will reciprocate her feelings once he learns she's with child. Noah can't understand how a girl as sweet and lovely as Sadie ended up sleeping on a cot in Verba Stauffer's kitchen. He also senses Sadie is terrified of something. Concerned, he checks up on her. Eventually they strike up a friendship and soon their attraction is undeniable. 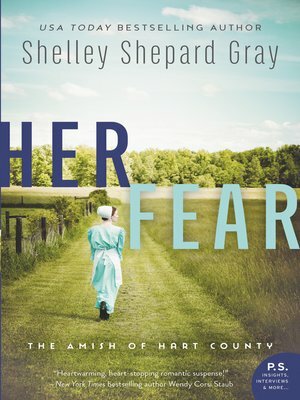 When Verba later dies at the hospital and her death is followed by two others, Noah's boss wants him to dig around the Amish community for clues. He agrees—for Sadie's sake—because only the truth will keep her safe and by his side.